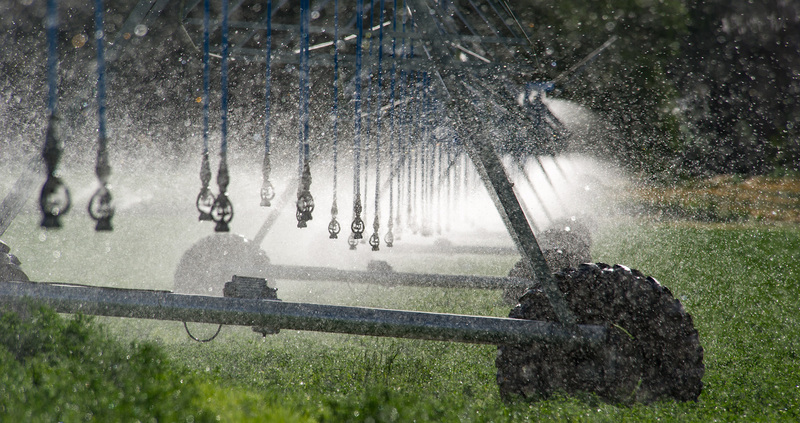 All Idaho Power customers who own or operate an irrigation system used for irrigation of agricultural crops or pastures receiving electricity from Idaho Power. Can I turn in more than one Menu Incentive application? Yes, submit an application for each pump service location. However, if you received an incentive for specific components at a given service location, those same components are not eligible for an incentive again for three years. How do I participate in the Menu Incentive option? Complete and sign a Menu Incentive application, attach the required receipts or invoices itemizing the sprinkler parts, and mail to Idaho Power within one year from the date of purchase or email to irrigation@idahopower.com. What if I submit a Custom Incentive application and then change something about the project? If the project is installed differently than proposed, energy savings and the incentive will be recalculated. It is funded through the Energy Efficiency Services charges collected monthly on Idaho Power customers’ bills, as approved by the Idaho Public Utilities Commission. Why is Idaho Power paying me to use less energy? Energy efficiency benefits all of our customers because it helps delay the need to acquire more costly resources to meet the load of the electric system. Energy efficiency is good for your business because it can reduce your costs. How can I get assistance to determine if I should make a change? You may contact your area Idaho Power agriculture representative and/or seek recommendations and bids from local irrigation system dealers. How do projects qualify for a Custom Incentive? Idaho Power calculates the anticipated energy savings for your project. Calculations are based on previous energy use and the proposed pump modifications or new system specifications. Qualifying projects receive a notice along with an Irrigation Efficiency Rewards Program Agreement, which must be signed by you and returned to Idaho Power. Idaho Power reserves the right to deny Custom Incentive participation for irrigation systems that do not comply with industry standards. How does Idaho Power calculate the Custom Incentive? Idaho Power calculates the energy-savings estimate based on past energy use data for the service location and compares it to the calculated energy use of the system with the proposed changes. The calculated number is based on the submitted information. This energy savings estimate is multiplied by $0.25 per kWh or $450 per kW and compared to 75 percent of the total project cost to determine which is less. The incentive can change if the final invoices vary from the original estimate. How does Idaho Power calculate the Menu Incentive? Idaho Power verifies the qualifying items purchased and multiplies that by the pre-determined incentive amount to calculate the total incentive amount. The incentive paid will be the lesser of the incentive or the actual amount paid, unless otherwise restricted by the 50 percent cost limitation. Why is an Irrigation Efficiency Custom Rewards Program Agreement necessary? Idaho Power is committed to the success of this program. To ensure the program benefits you and Idaho Power, you will be asked to sign the agreement that sets forth the specific terms and conditions of this program. What pump modifications qualify for the Custom Incentive option? All proposals to reduce the energy use of an irrigation system will be considered.